No it is not! It is actually one of the worst snacks you can eat and it will contribute to your belly fat and it does not matter if it is organic or not! 1. Trail mixes normally has raisins, cranberries or some other dried fruit. These dried fruits are chocked full of sugar. Now let’s throw in the chocolate morsels or chocolate covered nuts or raisins and even some M&Ms and now we are spiking insulin levels! 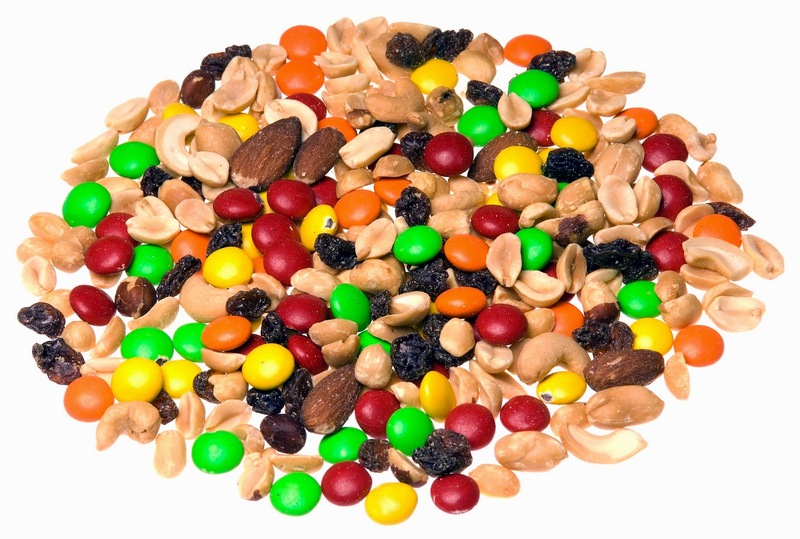 Just 1/2 of a cup of trail mix can contain 30 grams of sugar! And once again it does not matter if it is organic – sugar is still sugar. 2. Next let’s take a look at the calories. Most of it comes from sugar and now add the fat content. 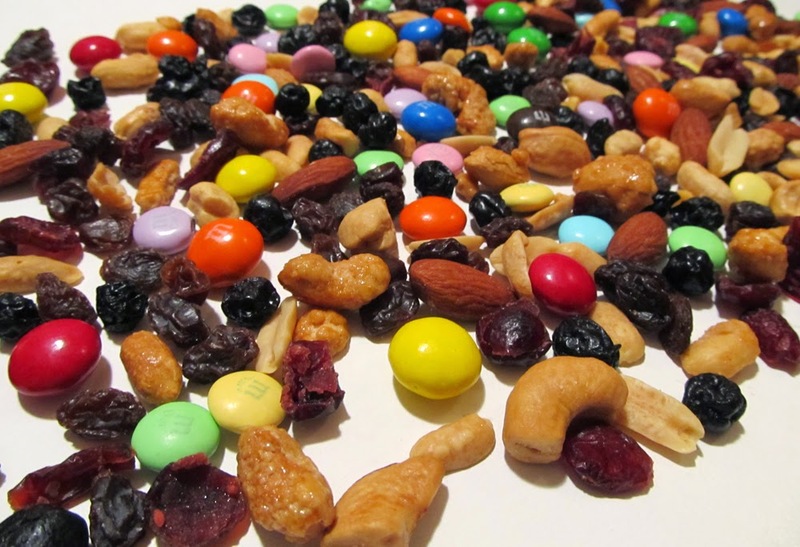 A 1/2 cup of trail mix has about 300 calories! That’s more fat, sugar, and calories than ice cream! 3. This snack has the most devastating combination for your body with tons of fats and carbs (the worst kind – sugar) with very little protein. This is a recipe for fat storage. So if you are wanting a flat stomach, stay away from this high sugar, high fat with minimal protein snack. If you decide to ingest this snack you will slow your fitness results! So, if you’re looking to get a flat belly fast, and you’re relying on high sugar, high fat snacks with little protein (like trail mix), I’m afraid you’re only going to be slowing your results dramatically. Just eat nuts by themselves and drink a drink sweetened with a low glycemic-index such as stevia.